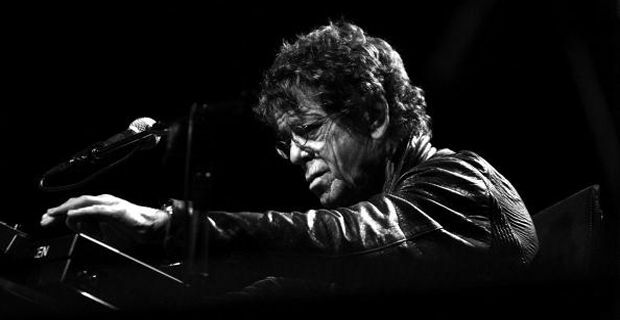 The mercurial Lou Reed, lead singer of the Velvet Underground and iconic counter cultural voice has died at the age of 71. Having undergone a liver transplant earlier in the year, he never fully recovered and died of the complications that plagued him following the operation. Reed was a towering figure for a generation and a profound influence on half a century of music. Stripping down rhythm and blues to a raw, elemental power, he brought an ethereal poetry to lyricism and delved deep under the skin of urban bohemianism, stringing out penetrating perception into an introspective haze of melancholic beauty. His voice was worn and ravaged with jagged experience and his fractured mirror to the wild side both helped define his era and retain a sublime timelessness. From the Velvet Underground’s experiments with conceptualism and the avant garde to the drag queens, heroin cocoons and drug dealing Sugar Plum Fairies of his solo tracks, Reed continually pushed the envelope with a tender volatility. Decadence took on a surreal integrity and the excesses always retained a core of sadness through the twinkling defiance, a complexity that wove the mystery that all true art whispers. The Velvet Underground and their collaboration with Andy Warhol never really achieved commercial success, but left an extraordinary legacy, influencing artists like David Bowie who went on to produce Reed’s most successful album, Transformer and sowing the seeds of punk through a synthesis of heavy distortion and visceral attitude. As Brian Eno said of the 30,000 albums their first record sold, "I think everyone who bought one of those 30,000 copies started a band"
The music critic Lester Bangs once wrote “Lou Reed is the guy that gave dignity and poetry and rock 'n' roll to smack, speed, homosexuality, sadomasochism, murder, misogyny, stumblebum passivity, and suicide." And that is perhaps a perfect epitaph on an imperfect day.